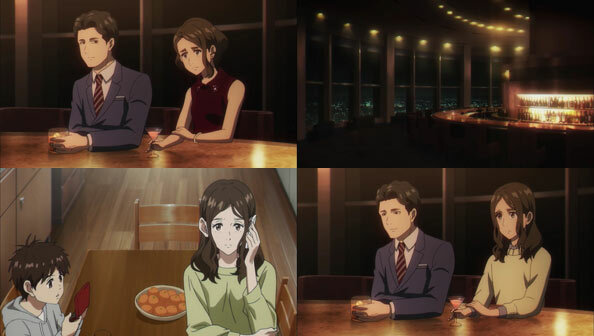 This week’s Boogiepop is a series of disorienting vignettes in which various visitors to the Moon Temple end up inhabiting old memories, first as their younger selves, then as their present selves. This enables them to do and say things they wanted to at the time, but didn’t. 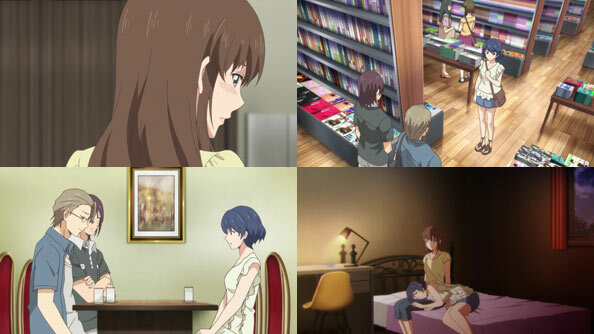 We begin with a woman who knew Teratsuki Kyouichirou, who offered her money to care for her son Makoto before dying suddenly two years after he predicted. In the present, the King of Distortion takes Teratsuki’s form, but it was the past Teratsuki who spoke of leaving “one last parting gift”—most likely the Moon Temple. 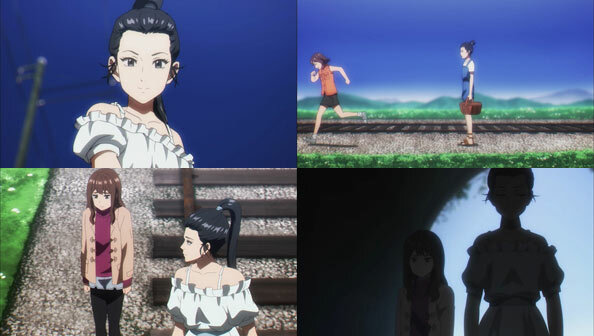 We move on to Sakiko, walking along a train track with her best friend Hinako, who is tall and gorgeous…but Hinako never got to grow up into the woman Sakiko sees. She died in a car accident with her family before Sakiko could apologize for lashing out at her in jealousy. The King of Distortion offers her a chance to turn her bitter regrets into gold. Next up, a younger Habara Kentarou, friend of Tanaka Shirou and student at Shinyou Academy. He used to hack into companies, but was caught by Kirima Nagi, in whose palm he was dancing all along. Suddenly Nagi, actually the King, turns into Saotome, who like Kentarou had unrequited feelings for Nagi. The King presents Kentarou with a riddle: if the world is a nightmare, how does one escape? To drive the nightmare point home, the ground starts to shake and windows crack; a giant kaiju appears in the streets. Kentarou finds Makoto, recognizes him from the Moon Temple, and they escape to the one place Kentarou believes he’ll be able to escape the nightmare…the Temple itself. 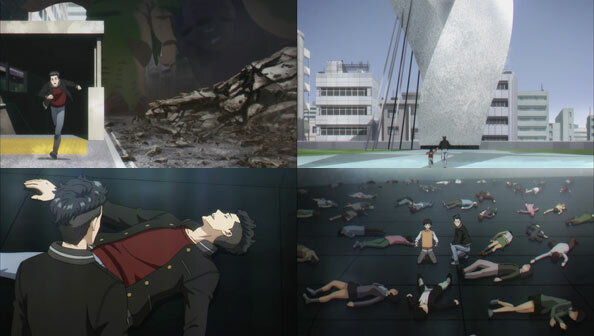 Upon arriving there, Kentarou finds…himself lying asleep on the ground, gives himself a kick, and wakes up. He wakes up Shirou next to him, and the two are surrounded by sleeping people, every one of them trapped in their dreams by the King of Distortion. Clearly it was the will of the King, or Teratsuki (or both, if there’s no difference between them) to entice a large number of people to come to the Moon Temple so he could put them to sleep and explore their memories, particularly those containing their regrets. 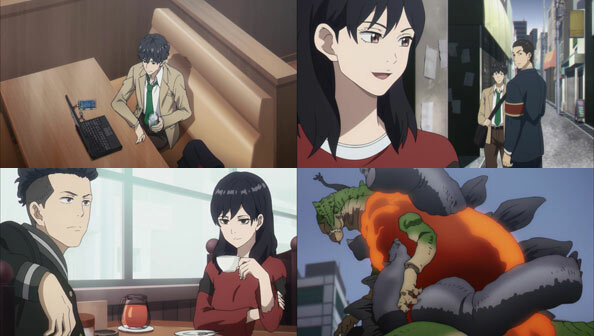 But it remains to be seen where Boogiepop fits into all this. It the King simply another enemy for them to eliminate, or is there more going on here?